1991 – Paragon Electronic Components established by John Mayes and Chris Johnson – both ex-Texas Instruments employees. 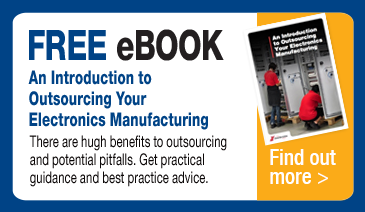 Identifying a gap in the traditional franchised distribution 'kitting' model, Chris and John set out to create a more complete kitting service for both Contract Electronics and Original Equipment Manufacturers. 1992 – Turnover exceeds £1m and Paragon moves into a 2,500 square foot facility in Kempston, near Bedford. 1997 - Paragon features in the Sunday Times 'Virgin Atlantic FastTrack 100'. 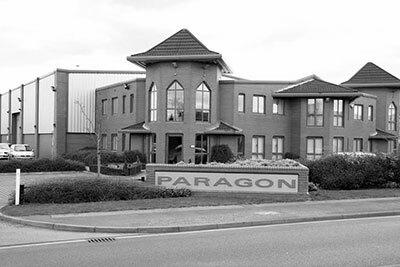 1998 – Paragon moves into a 20,000 square foot, purpose built, facility located on Woburn Road Industrial Estate, in Kempston. 1999 – Purchases the source code to their bespoke software business system in order to take control of all future software development. 2001 – Due to increasing demand from OEM customers, Paragon formally launches an Electronics Manufacturing Management (EMM) service and partners with a number of Contract Electronics Manufacturers – JJS Electronics Ltd being one. 2002 – BSI RoHS Trusted Kitemark awarded. 2007 – The Paragon Electronics Group acquire JJS Electronics Ltd.
2009 – £750k investment made in IT infrastructure, manufacturing plant and equipment across the group. 2010 – BS EN AS9100 accreditation achieved across all sites. 2011 – Further investment enables launch of a high integrity component sourcing, testing and verification service offering both new and existing Paragon Electronics Group customers a level of protection against non-conforming components not typically availible from EMS providers. 2013 – Investment of £650k made installing another complete SMT pcb assembly line. 2014 - JJS Manufacturing brand name establised. 2015 – Group turnover exceeds £31m.